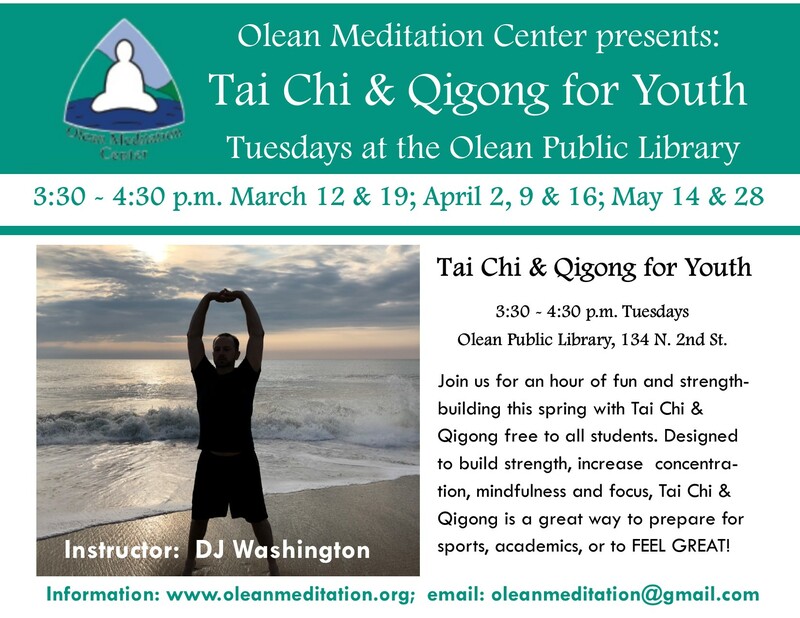 TAI CHI & QIGONG Tuesdays 3:30 – 4:30 p.
This spring Tai Chi & Qigong will be offered free in the Olean Public Library for all students from 3:30 – 4:30 pm Tuesdays beginning March 12. The program will be taught by DJ Washington. For more information, call 503-858-9842. Pre-registration is preferred but drop-ins are also welcome.